Hacienda Grande is a senior assisted living community located near prestigious Signal Hill in the city of Long Beach. 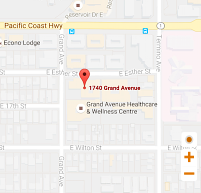 Nestled in a vibrant neighborhood, we are near restaurants, medical offices, hospitals, golf courses and the beach! We are a family owned and run facility that offers only the best quality care and services to our residents. With us, you can be assured that our residents will be cared for with love and respect. We prioritize the safety of our residents at all times because we value their trust in us, but we understand the need to maintain an independent and social life- Hacienda Grande offers this balance. At Hacienda Grande, we strive to provide our residents with affordable services that will help them live a full and comfortable life. We are available to help you in all ways possible and invite you to take a tour of the facility to see for yourself why many residents call this “home.” If you would like a tour, or would just like to consult us for more health care options, you may call us anytime at 562-597-7753. You can also send us a message. We will get back to you promptly.